Graham Williams is artistic director of Music Past & Present. He also teaches composition at the Royal Academy of Music. Graham Williams studied viola at the Guildhall School of Music and Drama and studied composition privately with Richard Rodney Bennett. He is a prolific composer and his works have received much critical acclaim both here and abroad as well as winning a number of prestigious awards. His orchestral works have been performed in this country by such orchestras as the English Chamber Orchestra, Scottish National Orchestra, London Sinfonietta, the Brunel Ensemble and the City of London Sinfonia. He has also composed a wide variety of chamber music for groups such as Lontano, the Leopold String Trio, the Brindisi and Bingham String Quartets and the Feinstein Ensemble. His works have been broadcast on BBC Radio 3 and Classic FM. In 2000 he was a featured composer at the Presteigne Festival which saw the world premiere of his festival commission Newton/Bronze for viola and strings. In 2001 the Solaris String Quartet gave the first performance of his String Quartet No 3 at the Purcell Room and in 2004 the Artea String Quartet gave the first of many performances of his String Quartet No 4. The Artea and Pavao Quartets together premiered his Elegy for String Octet at the Purcell Room in 2003. Notes from a time past for flute, viola and piano was dedicated to Sir Richard Rodney Bennett and premiered at a special birthday concert organised for Sir Richard by Music Past & Present in 2006. 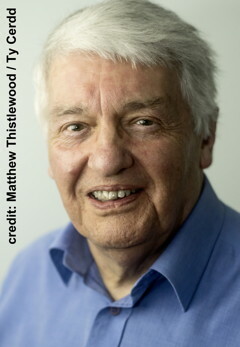 In 2007 he was awarded the William Mathias Composition Prize for his work Within the Garden of Memory. New works in 2007 include Three Night Pictures for Thomas Gould and John Reid and Preludes for solo piano for Junko Kobayashi.